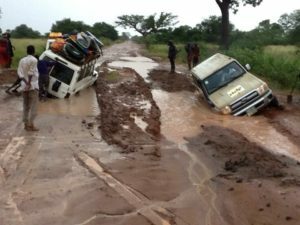 The United Nations World Food Program (WFP) has received an $9 million contribution from the Kingdom of the Netherlands to improve smallholder farmers’ access to markets by rehabilitating and maintaining roads in South Sudan over the next four years. The project, which is aligned to the United Nations’ Partnership for Recovery and Resilience approach, will enable WFP to improve 250 km of roads, assuring year-round access to more than 20 markets for 10,000 smallholder farmers and residents alike, reported the Africa Business Communities website. It will connect people to clinics and other necessities and open up land to agriculture in Eastern and Western Equatoria states, both of which have been cut off due to poor roads. The roadworks will further provide casual employment opportunities for more than 450 local youth and women as well as enhance community participation through Road Maintenance Groups. South Sudan is one of the most logistically challenging countries in the world. Although the Equatoria region in the southern part of the country is rich with fertile soils and endowed with good rainfall, agricultural production remains low due to insecurity and poor infrastructure. Several local agricultural markets also remain cut off from regional hubs, making it difficult for farmers to distribute their produce. Posted by Geraldine Boechat on November 29, 2018. Filed under News. You can follow any responses to this entry through the RSS 2.0. Both comments and pings are currently closed.